Throughout its history, Point Park University has taken pride in its urban roots and contributions to the vitality of Downtown Pittsburgh. The University began as a small business training college in 1933 under the direction of Dorothy Finkelhor and L. Herbert Finkelhor. By 1960, the business school had grown to more than 800 students and moved into the building now known as Academic Hall, on Wood Street in Downtown Pittsburgh. 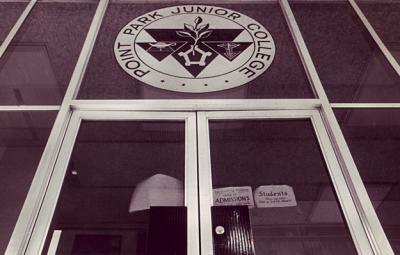 That year it became known as Point Park Junior College, named for the city's historic Point State Park. The junior college soon added programs in engineering technology, education, and journalism, and acquired performing arts space at The Pittsburgh Playhouse in the Oakland neighborhood. In 1966 the college was granted four-year status, officially becoming Point Park College, and began awarding bachelor's degrees. Point Park's first graduate program (in journalism and mass communication) was established in 1981. Dance and theatre programs were introduced, which laid the groundwork for Point Park's current Conservatory of Performing Arts. After weathering a severe financial crisis in the mid-1990's, Point Park emerged to implement a new strategic plan and dramatically boost enrollment. In 2003, it achieved university status and became Point Park University. Today, the University enrolls nearly 4,000 full- and part-time students in 87 undergraduate programs and 13 graduate programs offered through its School of Arts and Sciences, School of Business, School of Communication and the Conservatory of Performing Arts. Its students represent 46 states and 36 countries. The University's comprehensive strategic planning process has continued, focusing on enhancing academic excellence, a quality student experience, managed growth and community engagement. 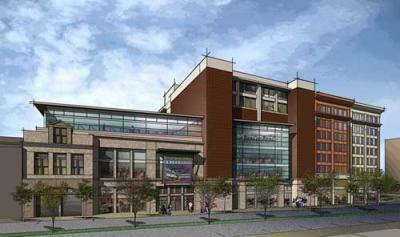 In 2008, Point Park moved into the next chapter of its development as a vibrant academic and community partner with the announcement of the Academic Village at Point Park University, a thriving living and learning hub. Point Park's $244 million campus and public enhancement space plan is already well on its way to transforming the University and Downtown Pittsburgh.